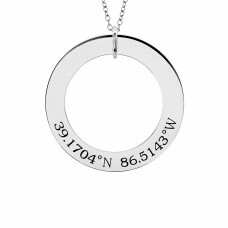 Keep your special place close to your heart with our Coordinates POSH Loop. Keep your most special location close to your heart with the Coordinates Brooklyn Bar. This more petite and dainty version of the POSH Bar boasts subtle style. We layer it with our favorite tiny POSH piece. Engrave the names of your loved ones in all caps for maximum legibility. Blackening available to make an extra impact. 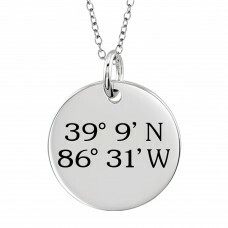 POSH Coordinates Tall Tag can be engraved with the coordinates of a place that is special to you. 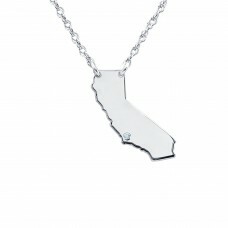 Show your favorite city some sparkly love with the POSH Diamond City Necklace. 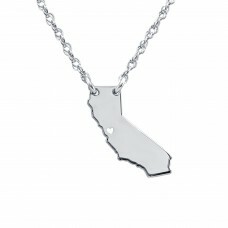 Keep home close to your heart with the POSH State Necklace! Whether it's the place you were born or the state where you started your family, nothing says "home is where the heart is" quite like this personalized piece. 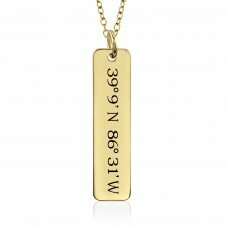 Available in a variety of metal types and chain lengths which make it a perfect layering piece. Home is where the heart is. 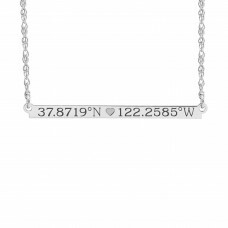 Whether you want to commemorate the place you were born, the place you fell in love or the place you started your family, the POSH State Necklace with Heart Cutout is the personalized piece for you!